Kit includes 2 x tyres and 2 x presta vlave inner tubes. Excellent service from merlin, the tyres- arrived quickly and they look an absolute treat on the ladies 1984 Peugeot road bike they were ordered for. Fitted easily and ride well. Excellent value. No flats yet. Nice rolling tyres, for a great price! Bargin. Good training tyre. Keep the pressures up to avoid punctures. Same quality of tyres that are 3 times the price of these. Got free tubes with these too! Haven't used this order yet but have used these tires in the past. Good tire, especially for the price. Wish red had still been available. First time to CST. After two weeks I may say these tires are an excelent related to costs. The two inner tubes are a well received gift. Thanks. Fantastic tyres for the money. They are fast and grip well but you must keep them close to the full 120kpa to minimise any punctures. This way they simply ping stones away as you ride the roads. These clinchers are an amazing value tyre. Many tyre brands manufacture tyres under sized and are difficult to flick over the rim when fixing a puncture or replacing them. Not these. 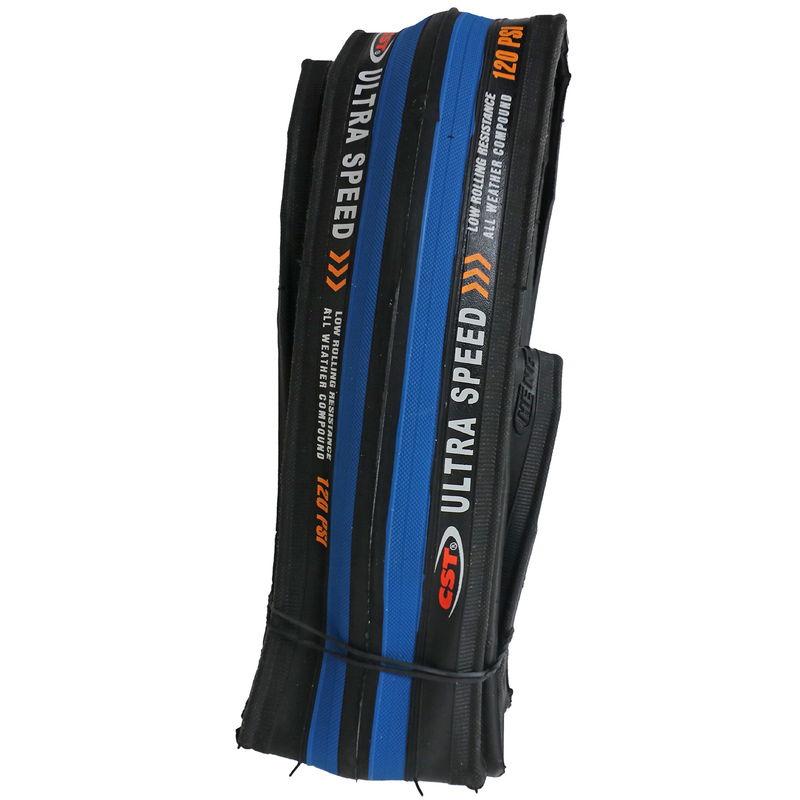 CST Ultra Speeds are perfectly sized for safe and fast tyre changes. I run these at the full 110kpa and they are fast and grip well wet or dry. A great all rounder that performs like a race tyre. Ordered these to be delivered to the US and they arrived within a week, which was unexpected. Completed 2 rides of about 20 miles each with no issues. Due to it being the rainy season here, there was a decent amount of dirt, small rocks, and other road "junk" I had to ride through and there are no signs of damage/distortion on the tyres. Another couple hundred miles will be the test to see how these hold up, but based on the first two rides I have been impressed with their feel and durability. These tires roll well, are puncture resistant, and are durable. Used them for several months with no punctures so far. Just bough these and rode a few times on them . They are well made roll well and are exceptionally cheap they feel like more expensive schwalbe ultremos on the road. Great tires for a very reasonable price, Excellent!